And he does it brilliantly! 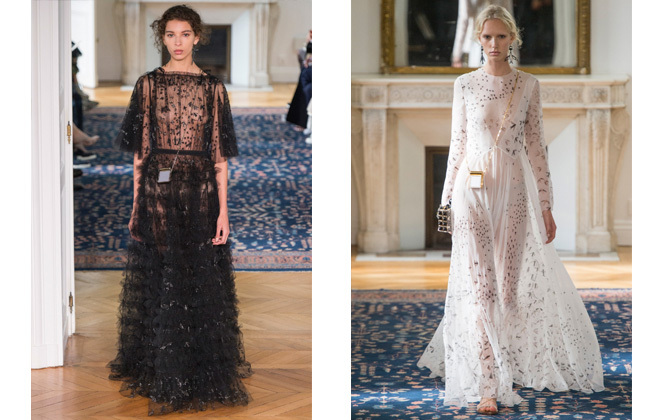 There is little doubt left in anyone’s mind that Pierpaolo Piccoli will continue to lead Valentino as fantastically as he has been with his longtime partner, Maria Grazia Chiuri, who recently left the house for Dior. 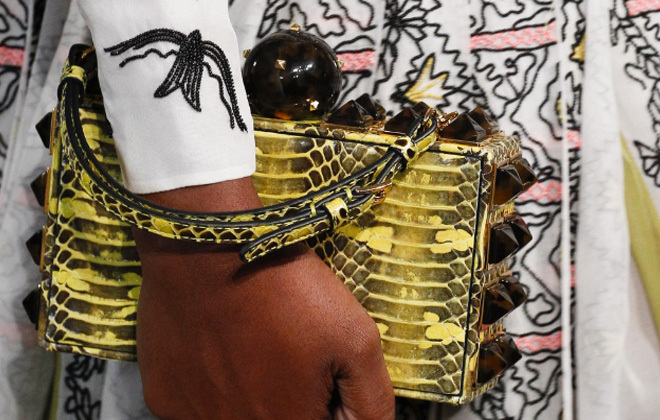 Can’t lie to you all, I was a bit worried that the gorgeous femininity, incredible detail work and lush embroidery would fade away from the collection. Thankfully, my worries were unfounded. These dresses take my breath away. So does the coat! 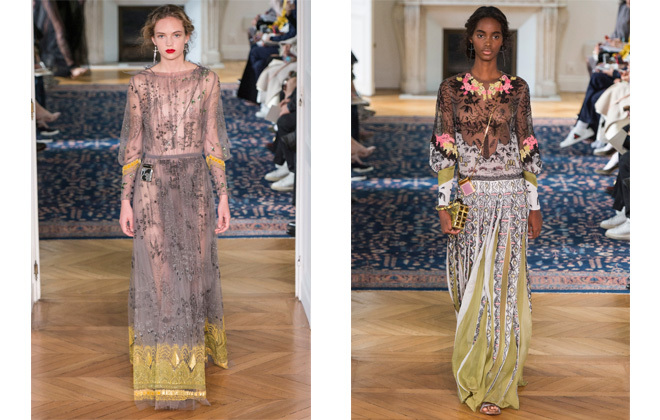 Mr. Piccoli debuted his collection in a lighter, more airy space than we previously found with Valentino of late. 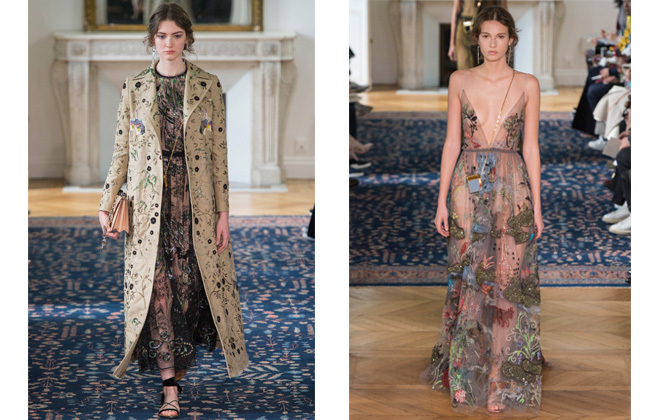 Given this was the SS2017 collection, the dark tents that previously hosted the shows were traded in for a light-filled room in the Hôtel Salomon de Rothschild. It looks like that idea was another success from the photos I have seen. The collection is a breath of fresh air with inspiration drawn from medieval art, in particular Hieronymus Bosch’s triptych, The Garden of Earthly Delights as well as the work of Zandra Rhodes, the British fashion designer of the ’70s and ’80s who is known for long hippie-chic dresses with prints that she hand-draws covering them. Pierpaolo then had the brilliant vision to ask Rhodes to draw prints for the collection from the Bosch painting for his dresses. The results are stunning. Bravo Mr. Piccoli! I hope there was a standing ovation because it would be well deserved!